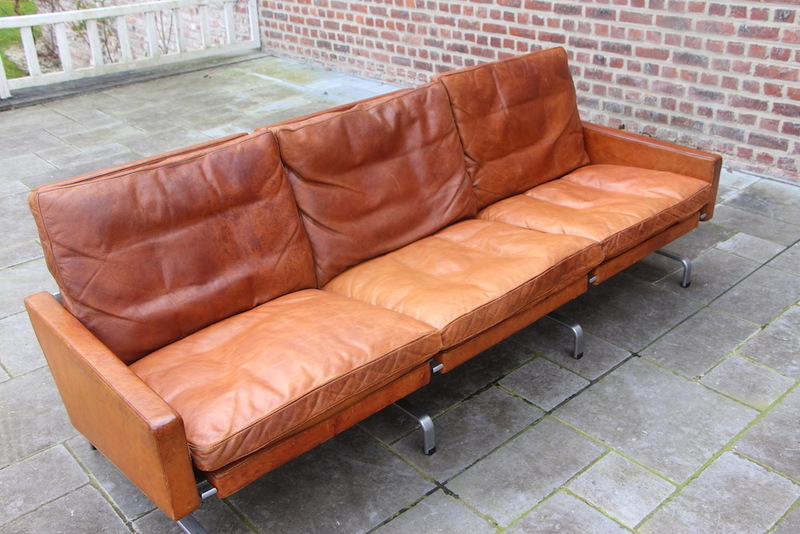 Extraodinary vintage sofa PK31/3 by Danish designer Poul Kjaerholm (1929-1980) for E. Kold Christensen (the sofa dates from before 1982, year in which Fritz Hansen took over the production of Kjaerholm's furniture). 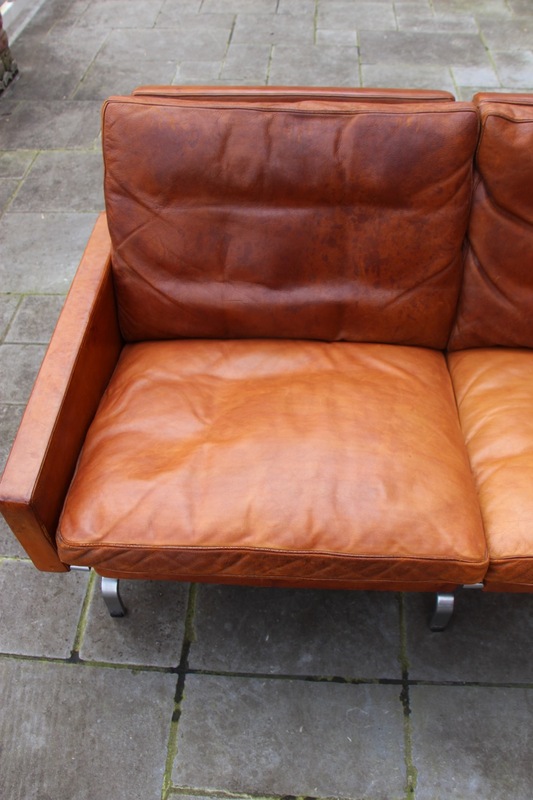 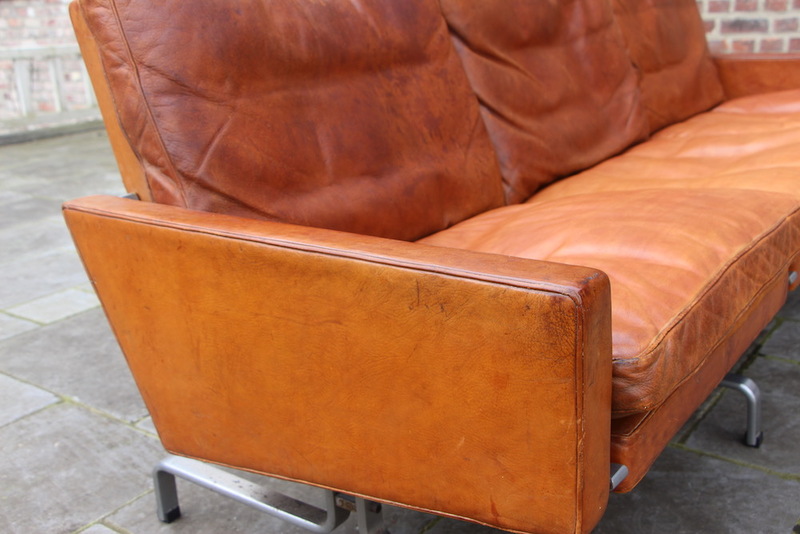 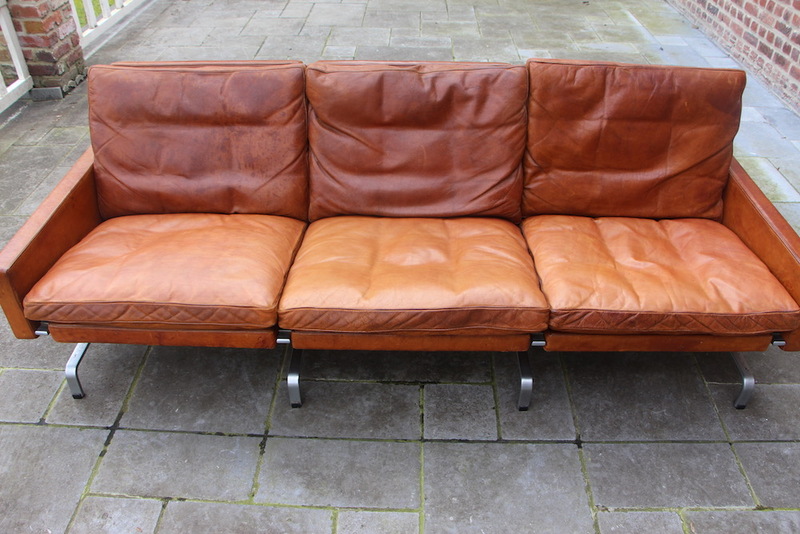 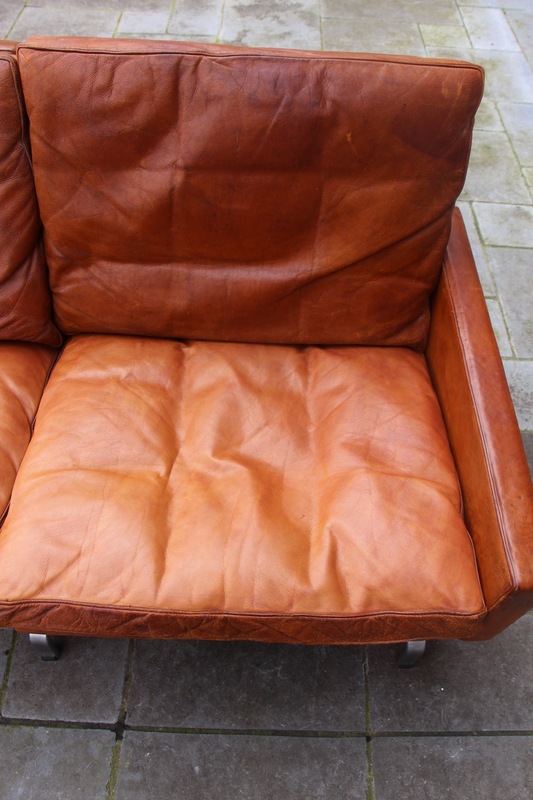 This three-seater is very heavy with it's steel frame and cognac leather. 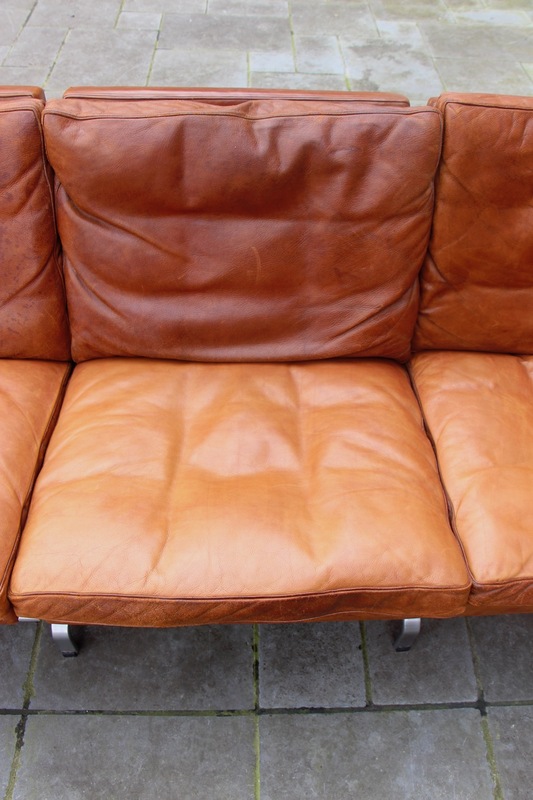 It's so comfortable you can melt away in it's cushions. 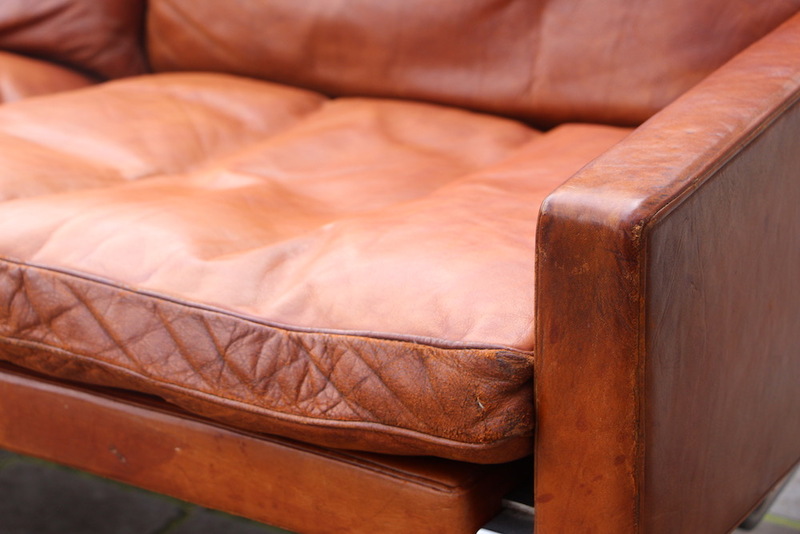 It has a beautiful patina and traces of usage and some stains which is normal with a piece of this age but which also adds to its authenticity and vintage look. 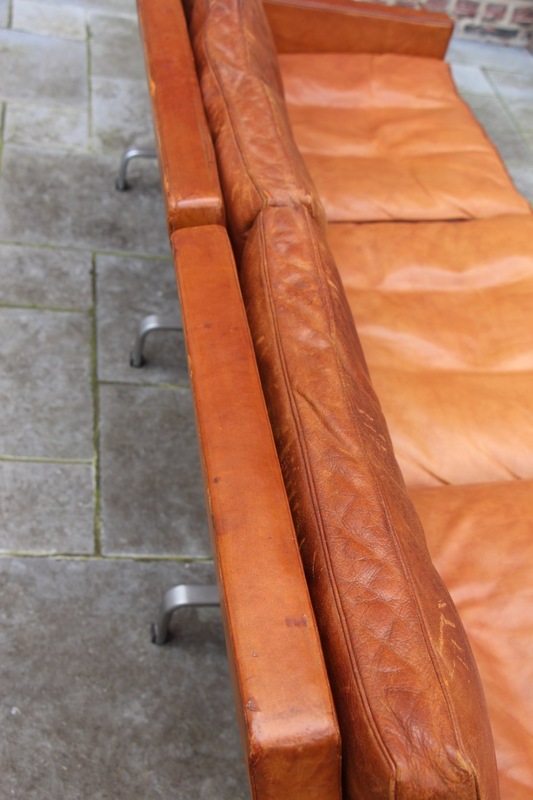 I think the cusions of the seating have been redone over the years because they show a slight (not easy to see) difference of patina with the rest, but I cannot tell for sure. 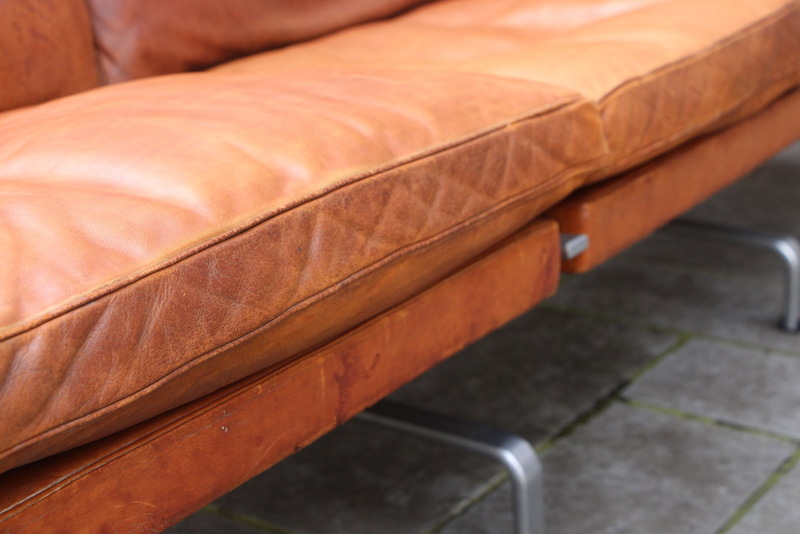 I have always loved this sofa mostly because of the combination leather/steel and it's unique style. 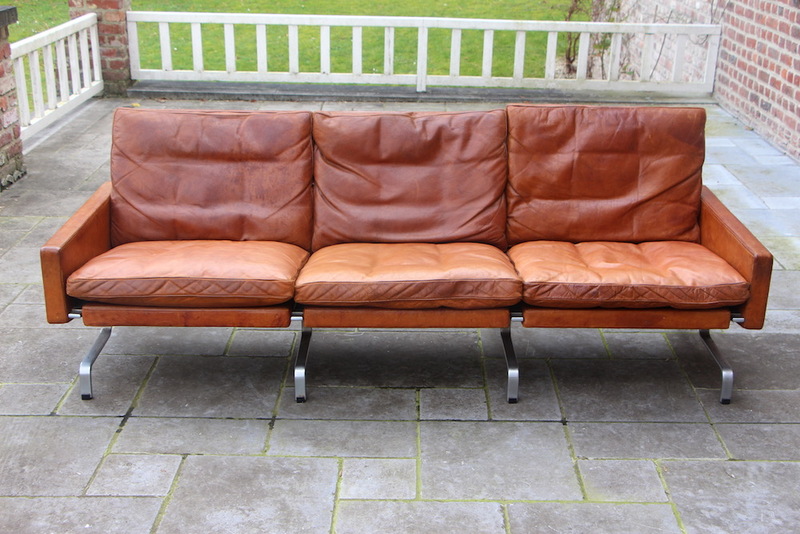 Also over the years this sofa has become an icon of design. 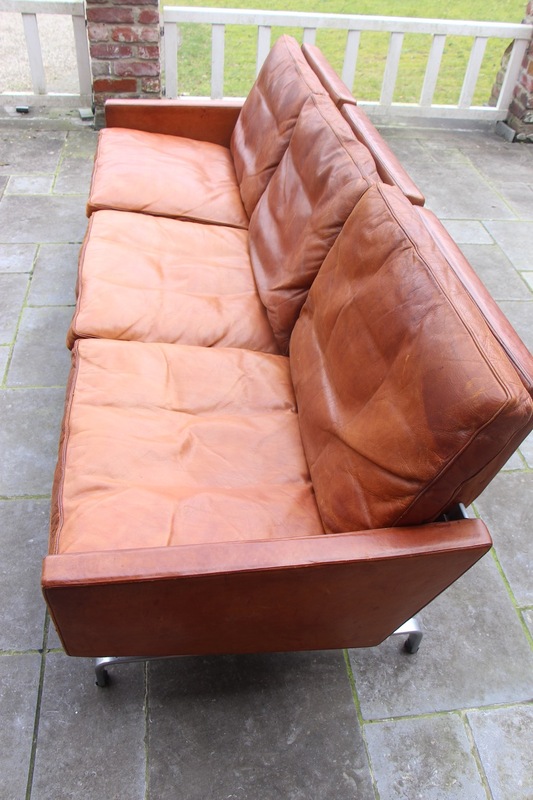 This sofa is sometimes seen in offices, in very chic lobbys but it could suit any living room. 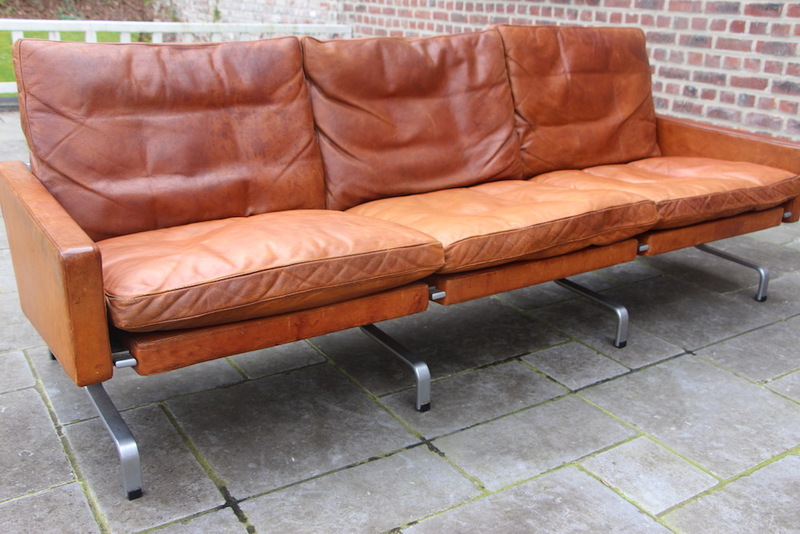 No doubt this is an eye-catcher for connaisseurs!